Marking the 45th anniversary of the Biennale of Sydney and its 21st edition, SUPERPOSITION: Equilibrium and Engagement opens 16 March in Australia. The participating artists have been chosen by Artistic Director Mami Kataoka to offer a panoramic view of how opposing understandings and interpretations can come together in a state of ‘equilibrium’. Ryan Gander will present recent sculptures on Cockatoo Island, where Ai Weiwei's Law of the Journey will also be installed. 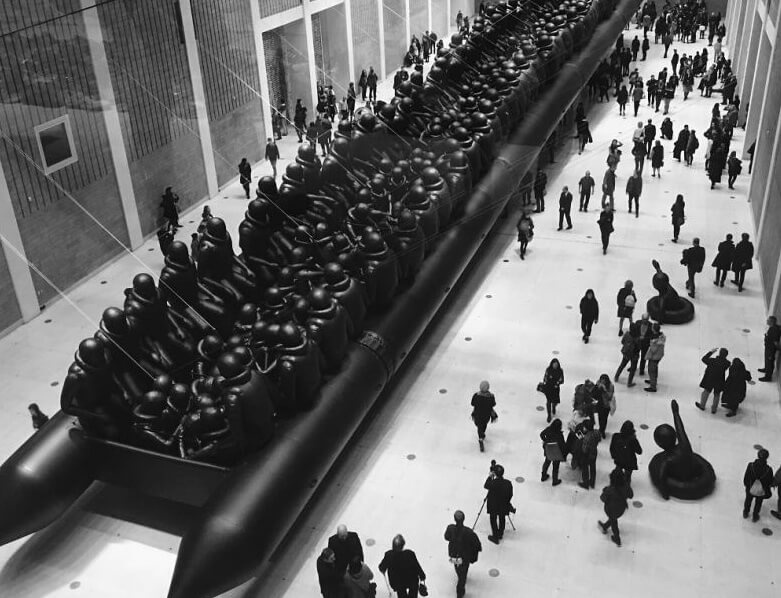 The 60-metre inflatable boat sculpture is made of the same black rubber used to make the vessels that carry refugees across the Aegean Sea. The artist will deliver the keynote address on Thursday 15 March at 6pm with Mami Kataoka, followed by the city's premiere of his feature length film Human Flow, at the Sydney Opera House at 8.30pm. For more information and do book tickets for the screening, visit the Biennale's website.